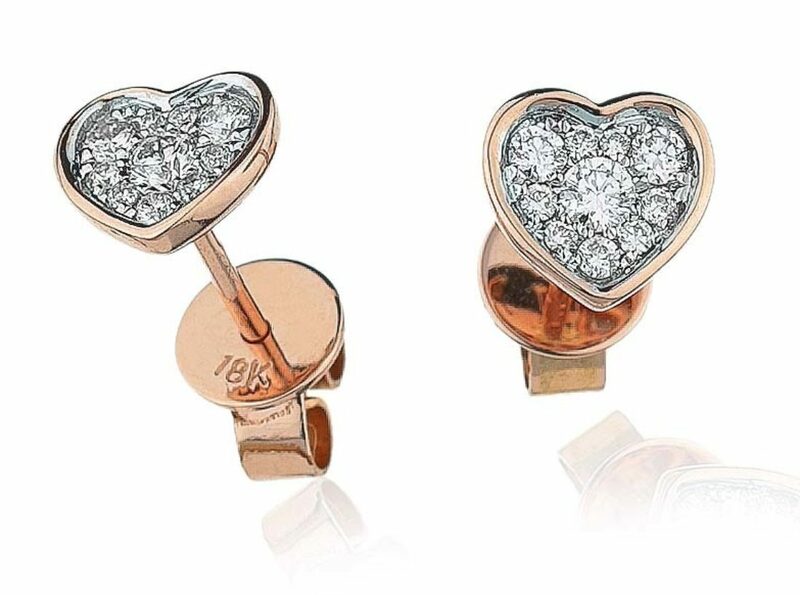 18ct rose gold heart shaped diamond cluster earrings. Total diamond content 0.30ct of G/H colour & SI1 clarity. 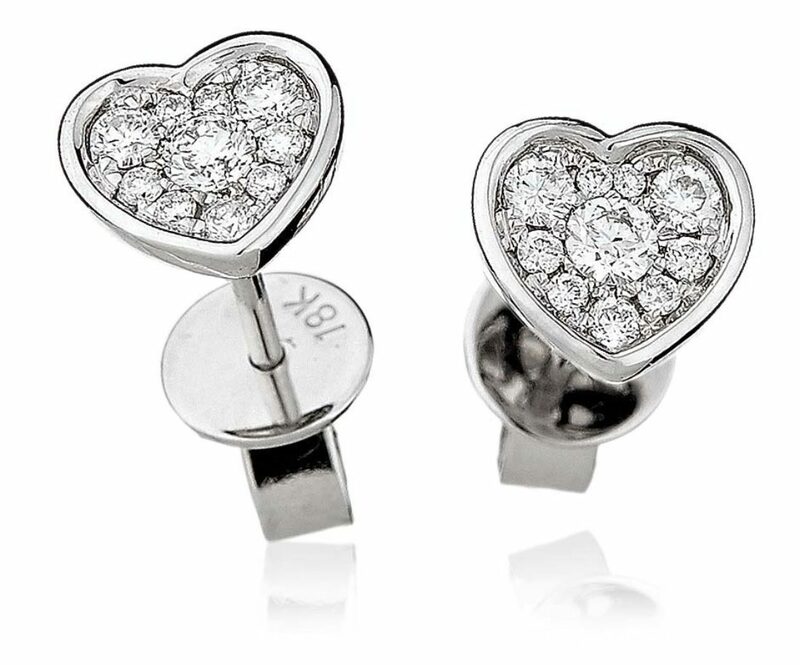 Also available in 18ct white gold.